"Copyright - All rights reserved 2011 - 2015 by SDR Apps"
Why I should pay for Studio 1 while there are several other programs available for free? On what Studio 1 is better in comparison? We hate making comparisons but I'm also tired to see the above discussions so I feel forced to give some explanations. SDR is a relatively new technology, at least in radio amateur applications. The principles behind SDR are not yet well understood by many, at least not as much as the "good old" analog technology that ruled the market until not many years ago. The recent introduction of cheap SDR hardware has led to the wrong assumption that a good SDR receiving system can be built with a few Euro and free software. The reality of course is very different: a good old "analog" Icom R-7000 is still far superior to a RTL dongle (plus software) as a radio. SDR technology can be superior only if properly applied. All the above is about the first question: what is the purpose and target of Studio 1? Studio 1 has been designed to provide high-end receiving performances when used in combination with high-end hardware. For example, today a Studio 1 plus Perseus (about 800 Euro) can provide better performances in comparison to a rack mount $15,000 professional receiver of not so many years ago, plus new features not even possible in the past (like multiple receivers). 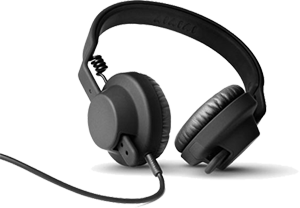 As Studio 1 price is very accessible, it can be used also in combination with cheaper hardware but remember that final results are as good as the front-end used. Second question: on what Studio 1 is better in comparison to free programs? (measurements data will be published as soon as possible but you can do tests yourself) and at the same time the DSP core is so efficient that the program can be used with older PCs (Pentium 4 machines) with excellent results. We can safely state that Studio 1 is the most efficient SDR program available (at CPU resources level) when compared to free ones. For the less technical readers, the spurious free dynamic range influence the capability of the receiver to resolve small signals in presence of in-band strong signals. In comparison, other software has as low as 70 dB (or less) SFDR when strong signals are inside the down-sampling band; still as an example, other software is much more "heavy" on CPU resources by one order of magnitude at least. A unique synchronous AM mode with selectable/adjustable sidebands, dedicated PLL input filter, selectable PLL time constants. The best FM implementation available with BW from 0 to 192 KHz and 4 sub-modes: NFM (narrow FM), MFM (medium FM), WFM (wide FM), SWFM (stereo wide FM); 50, 75, 520 us de-emphasis, post demodulation adjustable pass-band filter, monitoring grade stereo demodulator and sensitive RDS demodulation-decoding. 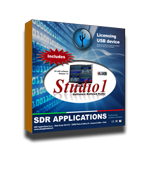 Also Studio 1 is the only SDR software that features SNR (stereo noise reduction), our proprietary noise reduction algorithm for stereo broadcast which alone worth the program price. FM AFC / AFT. Our unique AM "soft-filter" with old-style IF response emulation (tube like). 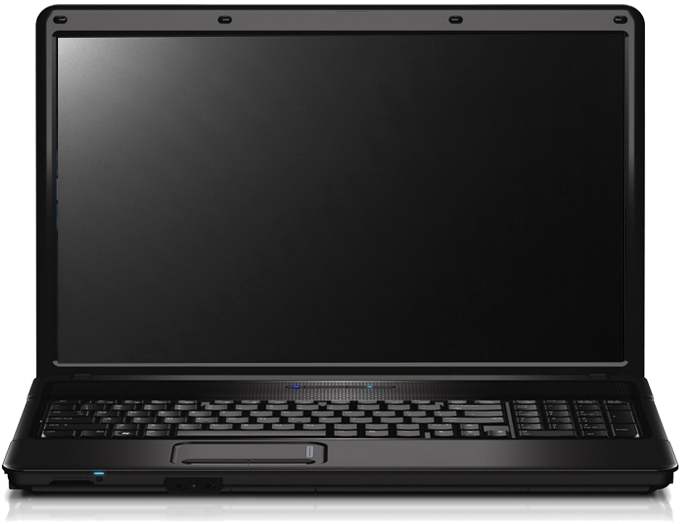 Compatibility with almost all the available hardware via ExtIO libraries. Custom designed windows and controls. (up to 16 virtual receivers per instance). Each instance and virtual receiver has its own settings. Up to four programmable offset for downconverters. Just compare the above features with those offered by some free programs and judge yourself. Third and last question: why Studio 1 is not free? Well, Studio 1 is our full time job and so far, the result of 5 years of development; customers have a quick support by email and free upgrades up to the next major release. The money earned from Studio 1 sales serves to cover development costs. We hope that all the above will clarify many aspects of Studio 1 for good. From Ham Radio Science a deep review of Studio1, with detailed video. The video on right courtesy of the author. 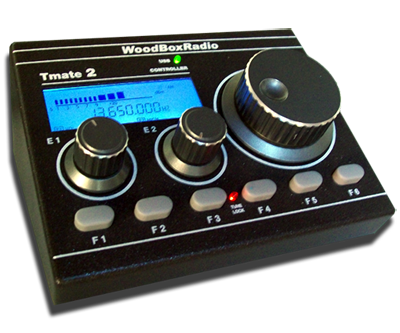 Studio1 supports Tmate and Tmate2 USB control consoles, for better tuning and control, no CAT or virtual ports required. 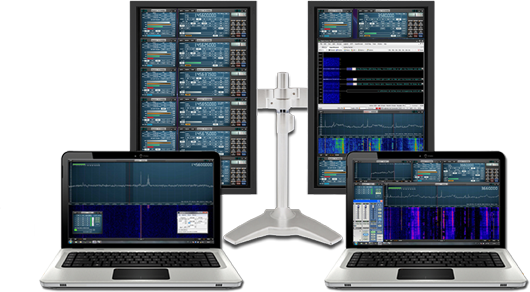 Studio1 is a new concept in Software Defined Radio applications: it is hardware-independent receiving software thought to bring you the best in user interface friendliness, DSP and audio quality, resource efficency and versatility. Description: Very clean recording of the 80 m band (and more) made with Perseus, courtesy of Günter Lorenz. Description: Another clean recording made with Perseus, courtesy of Günter Lorenz. Shortwave broadcast band portion, 5750 - 6250 KHz, includes DRM. Deep fading, good to evaluate the SAM features of Studio 1. Description: FM broadcast band, classical music, recorded with Perseus and FM+; the stereo sub-carrier is quite noisy (please note that the correct de-emphasis is 50uS). This signal is good to test the unique Stereo Noise Reduction algorithm of Studio 1. 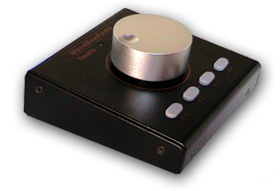 First compare the stereo to mono S/N ratio by using the MONO button. Then adjust the SNR to 140-150 and switch it on to hear the effective noise reduction. The RDS signal is also present. Please note the very low CPU requirements of Studio 1 even in SWFM + RDS mode.